Garrett, the master thief, returns in the cult series’ newest revival Thief. The original came out a decade ago, and this iteration was developed by Eidos Montreal and published by Square Enix. Thief takes place in The City, which was inspired by gothic and steampunk elements. Garrett, after returning from a year away from home, finds The City worse than it was before. The City is now under the control of a ruthless despot called The Baron, while a deadly plague called the Gloom is killing hundreds of citizens. The rich live isolated from the rest of the city, and the poor are dying left and right. Playing Garrett feels and looks convincing. Each movement Garrett makes seems calculated and deliberate, especially if he is handling the newest piece of jewelry he just swiped. As he moves through the streets of The City, Garrett carries a convincing sense of weight. It is also a pleasure to see these adept hands that seem like they belong to the player in action, such as manipulating doors or bookcases. Garrett is not uninteresting, occasionally giving commentary during missions, but his wit does not match to his skills as a thief. Garrett can procure new equipment, like a stronger bow or more sensitive lock picks, as well as supernatural abilities. However, if these powers and abilities seem like hand holding, they can be disabled in the menu; the difficulty and the interface can be customized to the player’s chosen level. Sense markers, for example, are markers placed above guards heads that show whether or not a guard actively sees Garrett. These can be removed and can give the player a better sense of independence during missions. Combat boils down to a simple matter of timed dodges and hits but is not the main focus of gameplay. The feeling of being a thief comes most when silently weaving through levels right under the noses of unsuspecting guards. Bonuses are awarded for avoiding violence and remaining undetected, so there is no incentive to go in guns blazing. Garrett is a thief, not an assassin. This is not Assassin’s Creed. Since Garrett is a thief, he needs something worth stealing. In the most satisfying cases, the player will learn of a rare treasure by overhearing a conversation, reading a document or just traversing through the districts of The City; then the game might test the player’s skills of investigation to find its secret location. These completely-optional quests for loot are some of the most satisfying scores in the game, even more so than the plot-relevant relics that are required to be stolen. Opposite to these occasional rare finds is the absolute overabundance of random trinkets and miscellaneous cheap loot that is packed into every crevice, drawer and cupboard until it borders on the ridiculous. A chime rings every time Garrett grabs one, but as the game progresses they eventually just feel like cheap trash that was thrown away. The mechanics of having Garrett rummage through drawers and picking up things like letter openers or pens seems opposed to his character of being a ‘master’ thief. Although nothing is forcing the player to actually search through all the rubbish The City has to offer, there is always a chance of missing something important such as a unique piece that leads to bigger treasure. Also it is the income from this small loot that allows things like consumable items and new equipment to be bought, so it would be less lucrative to avoid these items. The City itself is interesting to traverse and interact with. Districts are added to the map as the game progresses. Moving through the City as Garrett is fun with a fair amount of physicality behind it, but it does not have a flow so it is not exactly freerunning. 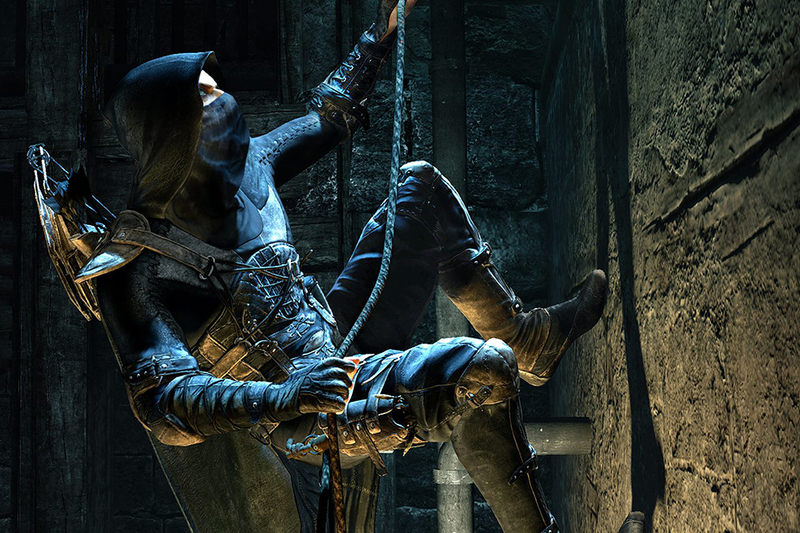 Although it has its flaws and frustrations, Thief holds some surprises. It has a way of creating a layer of mystery and dark tone from one scene to another and can be immersive in its difficulty and environment. It is not a perfect game by any stretch of the imagination, but there are many things worth taking in Thief.